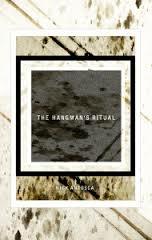 I have a bit of advice for people about to read The Hangman’s Ritual by Nick Antosca. Perhaps those who have already read his other works (the novel Fires, the novellas Midnight Picnic and The Obese, and the collection of stories The Girlfriend Game) won’t need it. However, I’d never read any Antosca before and it would have been nice if someone had told me not to start reading The Hangman’s Ritual when I wouldn’t have time to finish before bed. Absent such helpful advice, I started the book yesterday evening and got about halfway through before my wife made me call it a night. I didn’t want to, and I didn’t end up sleeping well. It wasn’t that I was disturbed, just that I couldn’t mentally step away from the book. My brain wouldn’t shut off; I needed to know what happened. I needed to finish. Finally, after getting what sleep I could, I snuck out of bed at 8 A.M. on a Sunday so I could finish reading. I had to finish the book. Casper doesn’t ask why the guest in Room 102 has chosen today to die. He just types out a text on his Hotel BlackBerry: Guest in room 102 requests checkout. I think that puts things about as clearly as I possibly could. When the guests choose to check out, Casper has to handle it. He’s in a hotel room. At first, insanely, that’s what he actually thinks. I’m in a hotel room. And then, like a granite headstone settling onto his chest, he realizes. I’m in a Hotel room. He’s the new guest in Room 102. See why I might have had some trouble sleeping? The Hangman’s Ritual isn’t a very long book, but it does what it does very quickly. Frankly, I found it addicting. I’d compare the experience to mainlining, but I don’t have any experience mainlining. Given that, let’s just say that The Hangman’s Ritual gets under the skin. It electrified me as a reader and didn’t let go until it was done. Getting back to the advice I mentioned at the start of this review, though, I would suggest setting aside enough time to read through the entirety of The Hangman’s Ritual at one stretch. Running only about 135 pages, you don’t need to dedicate a huge block. However, if you don’t then you just might not be good for much of anything in the gaps between. Consider yourself warned. David S. Atkinson is the author of “Bones Buried in the Dirt” (River Otter Press 2013). His writing appears in “Bartleby Snopes,” “Grey Sparrow Journal,” “Interrobang?! Magazine,” “Atticus Review,” and others. His writing website is http://davidsatkinsonwriting.com/ and he spends his non-literary time working as a patent attorney in Denver.